Snow Fun Day in Cottage Country + Casino Rama Visit. Dinner included! 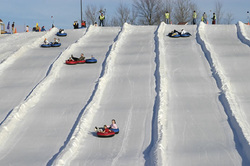 Choice of Snow Tubing, Snow Shoeing, Skiing and Snow Boarding. Please note, pickup times have changed slightly to allow for slower driving conditions because of the forecast snow on Sunday morning at the time of our departure! Please see updated times below in the section on Pickup Times. Stop for lunch at highway rest area along the way to Snow Valley. Cost of lunch is not included in tour price. 3 hours of fun at Snow Valley Ski Resort included. 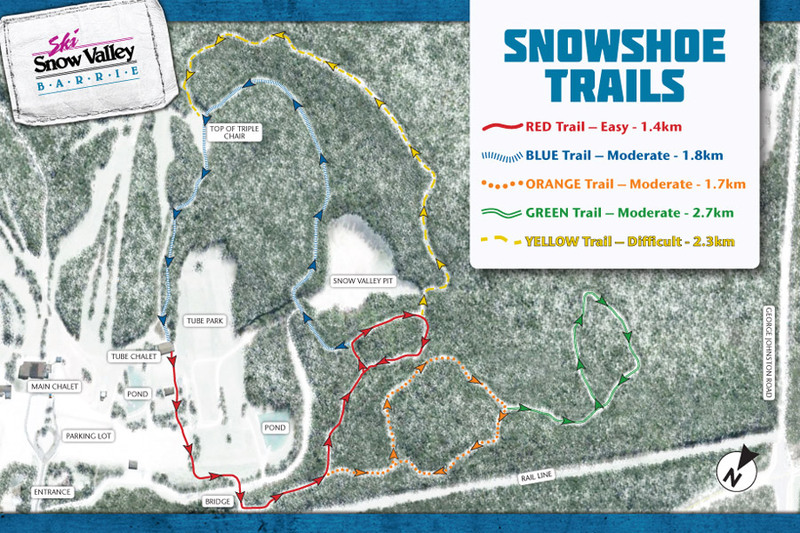 Your choice of either Snow Tubing (5 downhill runs) or up to 3 hours of Snow Shoeing on groomed trails included. Visit to Casino Rama included. Dinner buffet at Casino Rama included. Beginner Ski Package: Upgrade available for extra charge (+$39) to replace snow tubing session with beginner skiing lesson and 1 hour 45 minutes of lift ticket instead. All ski equipment provided. Beginner Snow Boarding Package: Upgrade available for extra charge (+$59) to replace snow tubing session with beginner snowboarding lesson and 1 hr 45 minutes of lift ticket instead. All snowboarding equipment provided. For Experienced Skiers: Upgrade available for extra charge (+$21) to replace snow tubing session with 3 hour ski lift ticket instead. You must bring your own ski equipment. $99 per person. HST extra. Simply log into your customer account and cancel your reservation or send us an email by 9AM on Sunday February 1 and we'll cheerfully send you a full refund. Snow Valley Ski Resort is the complete snow fun package: 19 ski and snowboard runs, 9 tubing runs, 14 km of show shoeing trails, 9 chair lifts, 2 now tubing lifts and the ski chalet. Whatever your interest, this resort has something for everyone. We have tried to create a day trip that gives you options to try the activity that interests you. 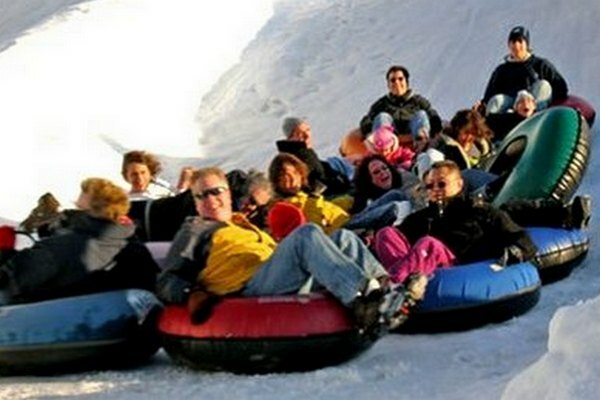 Snow tubing is the perfect fun winter activity suitable for everyone. No special skills are required. You get a big tube that looks like a doughnut, you sit in the middle of the tube, the lift pulls you to the top of the hill, and you come whizzing down one of the tubing runs. You can come down either by yourself or holding on to friends' tubes. And then you get to go back up and do it all over again and again. 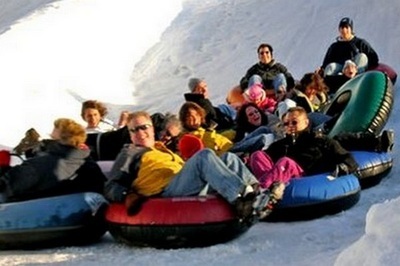 If you choose to do snow tubing, your tour price includes tube rental and 5 tubing run tickets. Additional tickets can be purchased on site if required. Snow Valley has 5 snow shoe trails, covering 14 km, ranging from easy to hard. It's a wonderful aerobic activity. Walk in the peaceful and serene countryside of cottage country and enjoy a wonderful winter walk in the woods. 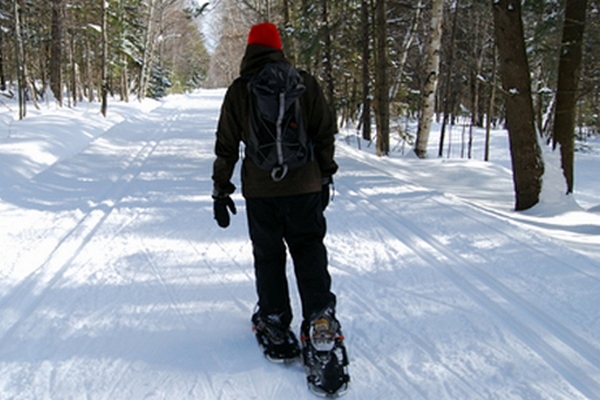 If you choose to do snow shoeing, the tour price includes snow shoe rental and trail pass. 1 hour 45 minutes ski lift ticket to the beginner hills. Skis, boots and poles rental. You will need to bring your own snow pants, jacket, gloves and hat. 1 hour 45 minutes in beginner snowboarding centre and wide lift ticket. If you are an experienced skier and have your own ski equipment, you can upgrade to a 3-hour ski lift option (+$21). This allows you access to all 9 lifts and 19 runs. After our snow fun day at Snow Valley, we will travel to Casino Rama near Orillia. 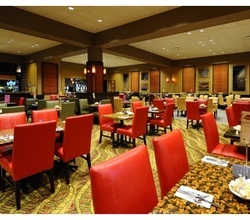 Your stop here includes a fabulous dinner buffet at the Couchiching Court Restaurant. You do not need to have dinner in the buffet, your meal voucher can be redeemed at any of the dining establishments in the casino. If you enjoy slots or table games, of course they have lots. If you don't enjoy gambling, there are numerous lounges, a piano bar, three sports bars and large screen TV's. We have 3 pickup locations in the Toronto area. Please note, pickup times have changed slightly to allow for slower driving conditions because of the forecast snow on Sunday morning at the time of our departure! We leave at approximately 10:00 AM. Actual pickup times vary by stop and will be sent out in the final email to all registered attendees, 2 days before the trip. We return to Toronto at approximately 10:30 PM. This trip is restricted to adults 21+.